Many researchers are working on developing fast data mining methods for processing huge data sets efficiently. 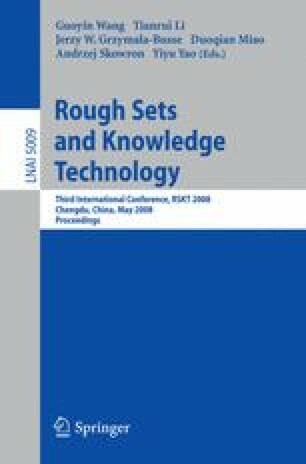 In this paper, we develop some efficient algorithms for knowledge reduction based on rough sets. In these algorithms we use the fact that the average time complexity for the quick sort algorithm for a two dimensions table with n rows and m columns is just n×(m + logn) (not m×n×logn). Experiment results also show the efficiency of these algorithms. This paper is partially supported by National Natural Science Foundation of China under Grants No.60773113 and No.60573068, Program for New Century Excellent Talents in University (NCET), Natural Science Foundation of Chongqing under Grant No.2005BA2003, Science & Technology Research Program of Chongqing Education Commission under Grant No.KJ060517.